An everyday bag for today, tomorrow, and forever. 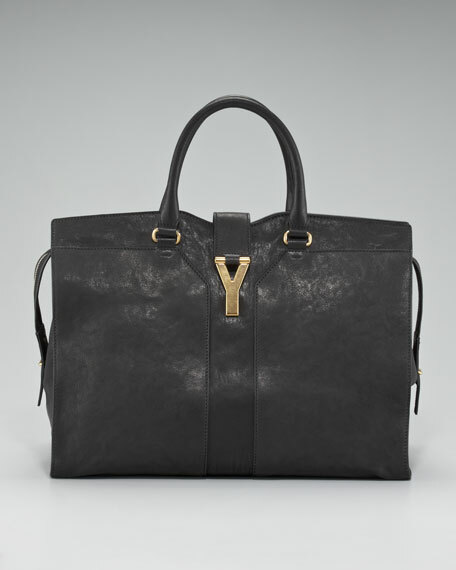 Enduring leather construction and distinctive Yves Saint Laurent design is striking, yet basic enough for year-round use. Black lambskin with golden hardware. Tote handles with rings; 5 1/2" drop. Inside, cotton lining; two pockets. 12"H x 15 1/2"W x 6 1/2"D.